Cleavers is a gentle purifying herb that is often used as a tonic. * Allantoin, a consitituent in comfrey, makes the leaves a useful emollient in lotions, creams, and hair rinses. Burdock root is a popular folk remedy and tonic herb, and the fresh root is also a tasty vegetable. Medical Herbalist Claudia Joy Wingo uses this blend as part of her Spring or Autumn cleansing regime or when the body shows signs of lymphatic congestion (enlarged lymph nodes, swollen tonsils/adenoids, recurrent ear infections, skin conditions such as acne and eczema, lumpy breasts, pelvic congestion) as a gentle cleanser and corrector. Agrimony is an herb traditionally used for its tonifying properties of the liver and as a cleanse for skin and blood. Dandelion root has been used for centuries, in traditional medicine practices all over the world, as a restorative tonic, edible food, and in herbal wines and beers. This ebony black soap is one of the oldest cleansers in the world. It is all natural, completely organic without animal fat, no chemicals, tar or artificial coloring. It is made from a rich foray of healing and antiseptic herbs and plant oil with their own glycerin (95%) and natural vitamin A B & E. It is very effective as a facial for its ability to penetrate deep into the pores and suds out oil, dirt and grime of modern day living. Or, use as an all-over body cleanser to help soften your skin and tone your complexion. Black Soap is particularly effective at preventing the development of acne and other skin blemishes, including shave bumps, blackheads and pigmentation spots. This soap is 100% Pure, containing no animal fat, no chemicals, no tar, and no artificial coloring. This product is not intended to diagnose, treat, cure or prevent any disease; the law applicable to dietary supplements, the Dietary Supplement Health and Education Act of 1994, commonly referred to as DSHEA, does not permit us to do so and it is not our intention to do so. The Contraindications and Potential Drug Interactions information provided on this website is not intended to be all-inclusive. Keep your healthcare provider informed about any herbal and other dietary supplement products that you are taking. The root of the common dandelion, long prized by herbalists for its cleansing action, is also packed with essential vitamins and minerals. The roasted root has a rich, warm flavor which makes it a delicious coffee subsitute. Almost every herbal tradition has noted it as a useful tonic for the liver and gallbladder. Chaga has been a part of folk medicine in Russia, Poland, China and numerous Baltic countries for many centuries. Researchers are studying its traditional use as a restorative tonic as well as its support for skin, respiratory, and digestive health. * Astragalus is a staple of TCM (Traditional Chinese Medicine), where it has been used for centuries as a superior tonic. anti-inflammatory. 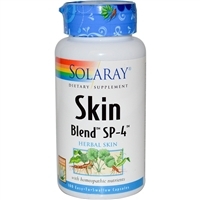 An herbal support blend for beautiful skin. This Liquid Black Soap's deep cleansing ability gets skin "deep-down" clean, while its super-fatted base leaves skin smooth and glowing, not dry and tight. It can be used as a facial cleanser or all over the body to soften and tone the complexion. This soap is particularly effective at preventing the development of acne and other skin blemishes, such as shave bumps, blackheads, and pigmentations spots. This product is not intended to diagnose, treat, cure or prevent any disease; the law applicable to dietary supplements, the Dietary Supplement Health and Education Act of 1994, commonly referred to as DSHEA, does not permit us to do so and it is not our intention to do so. The Contraindications and Potential Drug Interactions information provided on this website is not intended to be all-inclusive. Keep your healthcare provider informed about any herbal and other dietary supplement products that you are taking. Teenagers and adults who are suffering the miseries of acne pimples or blackheads, suffer no more. This delightful mint-scented facial scrub will actually wash away your blackheads, clean and dry up your pimples, remove dead, dry skin cells and shrink large pores. You will see blackheads and other pore impurities come off on your washcloth. Velcro was inspired back in the 1940's by this versatile wellness plant. Its popularity in Asia for thousands of years has made Burdock an immensely popular cooked vegetable in Japan, where it is called Gobo.